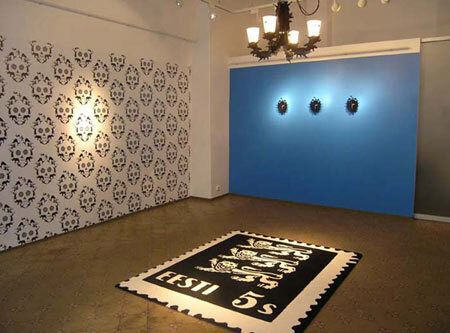 In exhibition project Oma tuba oma luba in February 2008 I used Estonian symbols, images, logos, even some well known local design icons and plaid with them, redesigned and made my own design. 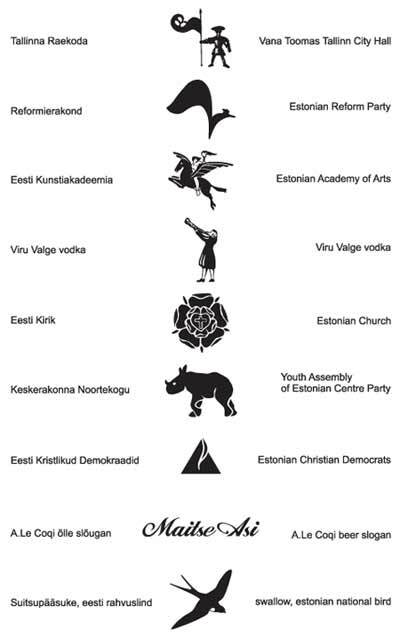 A wallpaper Question of Taste I, in Estonian Maitse Asi (slogan of beer company), there are logos of political parties (chippy, rhinoceros), Estonian national bird swallow, Pegasus – logo of Estonian Academy of Arts, horn man – logo of vodka etc. 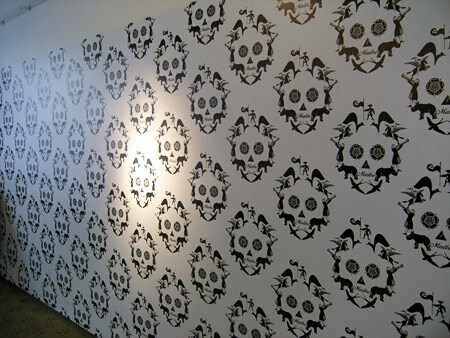 I put them together and got a pattern, which is quite similar to a skull.